Michel Langhi is a Brazilian Jiu Jitsu black belt under the legendary Rubens Charles “Cobrinha” and was once one of the rising stars in the sport/martial art’s featherweight division. 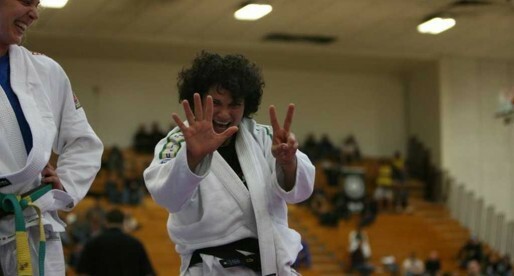 Being the brother of lightweight world champion Michael Langhi, Michel (often regarded as “Langhinho”) became a star on his own merit after successive wins in the lower ranks of jiu jitsu’s competitive scene, where he won tournaments such as the World Championships, the Pan American and the Brasileiro. Nickname: Langhinho, a way of saying little Langhi as his older brother Michael (who is also bigger) made a name for himself in BJJ previous to Michel’s exposure. Michel Langhi was born on the 5th of July, 1991 in the city of São Carlos, state of São Paulo, Brazil. Michel started Jiu Jitsu very young in life influenced by his older brother Michael Langhi, and his tenacity, flexibility and flair caused an impact almost immediately, so much that by the age of 13 he started venturing in the adult divisions of Brazilian Jiu Jitsu (this according to a segment about Michel on a Brazilian TV channel “EPTV” on July 2009). Though his father wanted him to become a football (soccer) player (something Michel was also good at), the fact that both Michel and his older brother were doing so well in the competition scene instigated other family members to follow and in no time, cousins, uncles and even Langhi’ brother in law joined the noble Arte Suave. The sister Marilia, however, took a different path and became a certified nutritionist to help her brothers’ diet and overall health. Training mainly with lower belts at his academy in São Carlos, Langhi managed to be extremely successful, but after a hard defeat to Ary Farias on the 2010’s World Championships, “Langhinho” understood the importance of training with a strong team and moved to the state capital São Paulo to practice with his brother at the main team’ head quarters. The change was deemed successful and Michel Langhi had a very good year in 2011 with wins at all 3 of the main tournaments in the IBJJF calendar (Pan American, Mundial and Brasileiro). 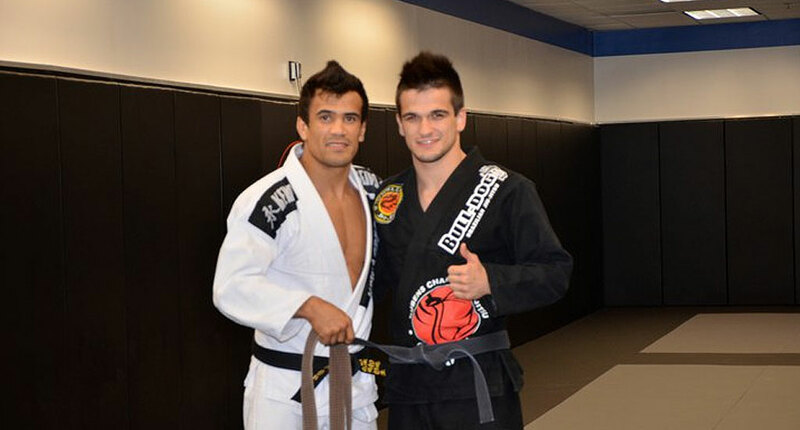 Michel earned his black belt on June 2011 from the hands of Cobrinha, but chose to follow an academic career outside of jiu jitsu, never truly breaking through as a legit contender in the division.